Former coffee house, “Cream”, on Park Ave. was sold to Le Stats. 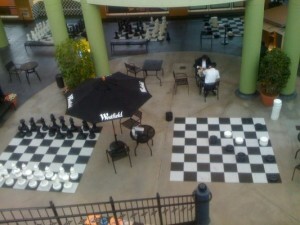 So now there are 2 Lestat’s Coffee houses to play chess! The giant chess set near Macy’s is more popular than the one near Target. Keith, could you email me please regarding Kate Buss Willis. mikegunnillATmacDOTcom From Kent in England. Need your help please! I wanted to learn a bit more about your Chess Club…is there an email or number i can contact you at? Looking for a patient person to help me learn Chess by playing. In or near Encinitas. Looking for chess enthusiasts. Enjoy playing casually while hanging out at the Elks Lodge in Vista, or Encinitas. I’m not a real advanced player, but I do think its a great game while enjoying a beer or two. Seems like its hard to find folks who like to play the game. If you’re interested you can text me at 760-310-2646 or shoot me an E-mail at the address above. Hey Wayne, are you still interested? There is also a chess club at Bonita Library. Give them a call. 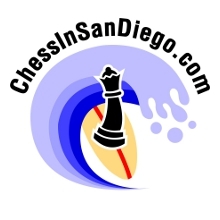 I just relocated to Chula Vista and looking for a club to get some casual practice games in. I haven’t played tournaments since mid-90s, then mid-80s. Would love to get back into it. Email gaedel1(at)Yahoo(dot)(com) or text 760-694-1201. Looking for a competitive chess opponent. It’s been about a year since I have played but I am willing to go at the more advanced players. I’ve been wanting to get back into playing chess regularly. Love the game. Anyone in mira mesa want to learn/play? Hey! I’m looking for someone who would like to play chess once a week. To practice and have fun for a while. Anyone in?